The theatre has excellent technical facilities and is suitable for a wide variety of medium scale productions. A specification sheet is available from the Technical Manager Myles Robinson (01923 857546) or may be downloaded from the link below. 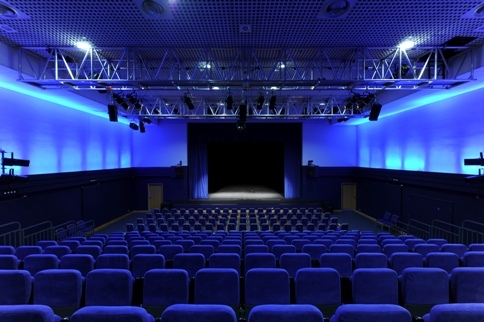 The auditorium can be set up in a number of layouts up to a maximum of 300 seats, with an option for an orchestra pit. Backstage facilities include dressing rooms with showers, Green Room, scenery dock and kitchen. Our computerised box office is open 10am - 4pm Monday - Saturday and 45 minutes before an evening performance (01923 859291).